Jonti-Craft KYDZ 5916JC 16" seat height ladderback school chair encourages good posture. Rails are properly spaced for child safety. Jonti-Craft KYDZ 5916JC 16" seat height ladderback school chair encourages good posture. Rails are properly spaced for child safety. Hard rubber feet reduce noise and prevent scratching. 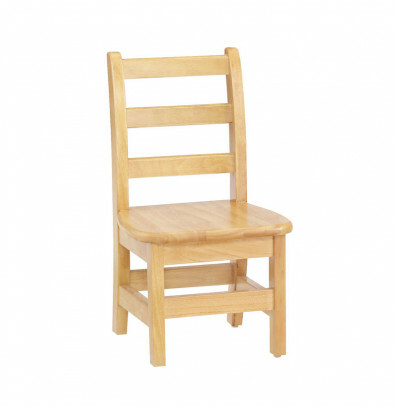 Pair of 16" seat height chairs are available, see model# 5916JC2.